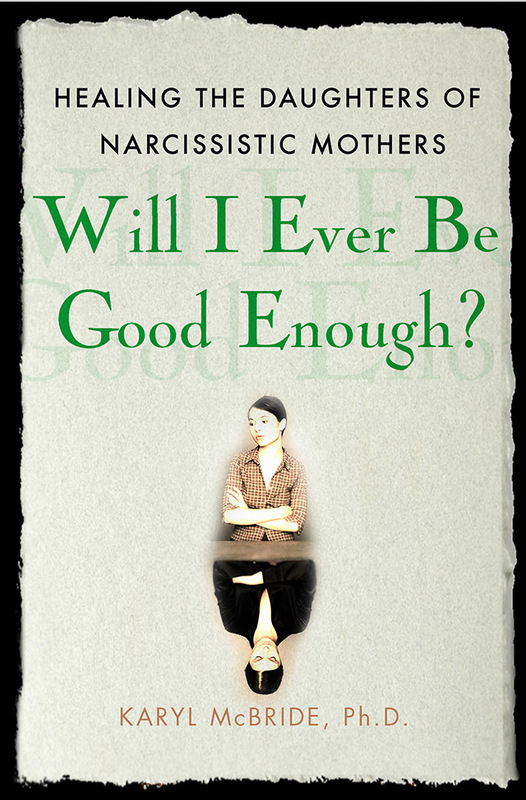 Are You an Adult Child raised by a Narcissistic Parent? Take This Brief Survey to Find Out. Narcissism is a spectrum disorder with the most severe end of the spectrum considered a narcissistic personality disorder. A person can have several narcissistic traits and not fit the personality disorder. Parents with only a few traits listed can negatively affect their children in insidious ways which is explained in Dr. McBride’s books. When you discuss your life issues with your parent, does he or she divert the discussion to talk about himself or herself? When you discuss your feelings with your parent, does he or she try to top the feeling with his or her own? Does your parent act jealous of you? Does your parent lack empathy for your feelings? Does your parent only support those things you do that reflect on him or her as a “good parent”? Have you consistently felt a lack of emotional closeness with your parent? Have you consistently questioned whether your parent likes you or loves you? Does your parent only do things for you when others can see? When something happens in your life (accident, illness, divorce), does your parent react with how it will affect him or her rather than how you feel? Does your parent deny his or her own feelings? Does your parent blame things on you or others rather than take responsibility for his or her own feelings or actions? Is your parent hurt easily and then carries a grudge for a long time without resolving the problem? Do you feel that you were a slave to your parent? Do you feel responsible for your parent’s ailments (headaches, stress, and illness)? Did you have to take care of your parent’s physical needs as a child? Do you feel unaccepted by your parent? Do you feel your parent was critical of you? Do you feel helpless in the presence of your parent? Are you shamed often by your parent? Do you feel your parent knows the real you? Does your parent act as if the world should revolve around him or her? Do you find it difficult to be a separate person from your parent? Does your parent appear phony to you? Does your parent want to control your choices? Does your parent swing from egotistical to depressed mood? Did you feel you had to take care of your parent’s emotional needs as a child? 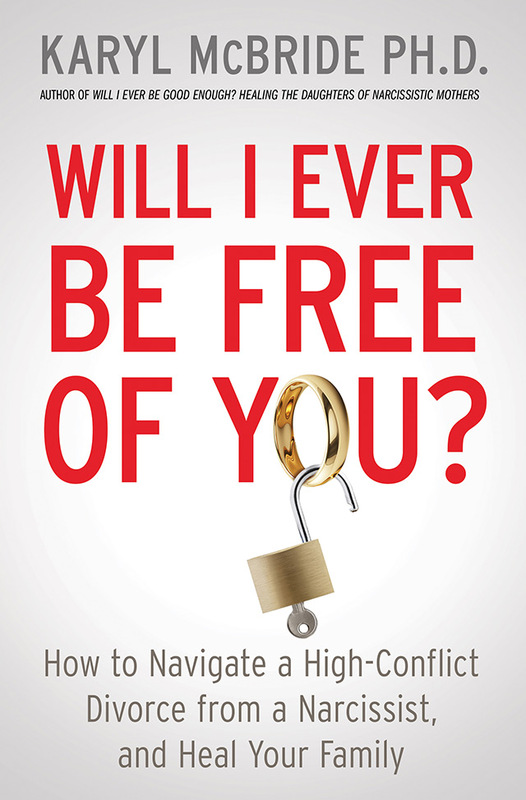 Do you feel manipulated in the presence of your parent? Do you feel valued by your parent for what you do rather than who you are? Is your parent controlling, acting like a victim or martyr? Does your parent make you act different from how you really feel? Does your parent compete with you? Does your parent always have to have things his or her way? Note: All of these questions relate to narcissistic traits. The more questions you checked, the more likely your parent has narcissistic traits and this has caused some difficulty for you as a growing son or daughter and adult. Dr. Karyl McBride designed a five-step recovery model to help daughters. This is now available in a virtual workshop that includes concise; custom- designed video instruction along with journaling and homework exercises to walk you through each step of recovery. Although this workshop was originally created for women we are finding it helpful for men as well.